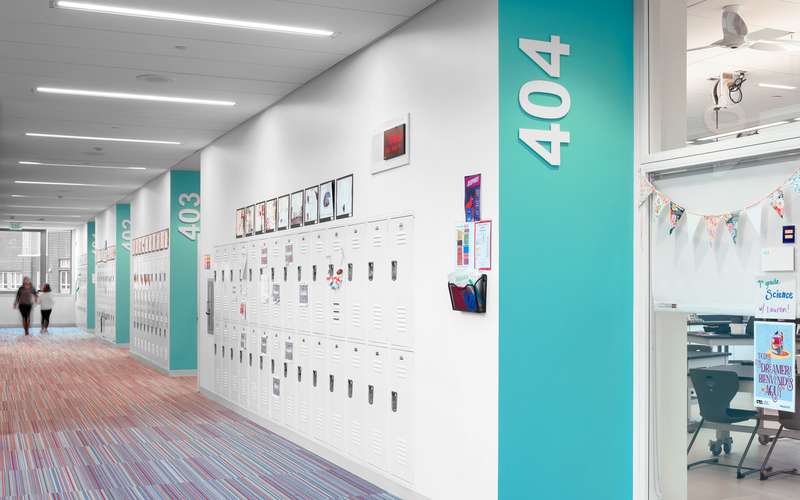 Over 800 families, friends and firms came together in support of a new middle school building for SAAS, designed by LMN Architects. 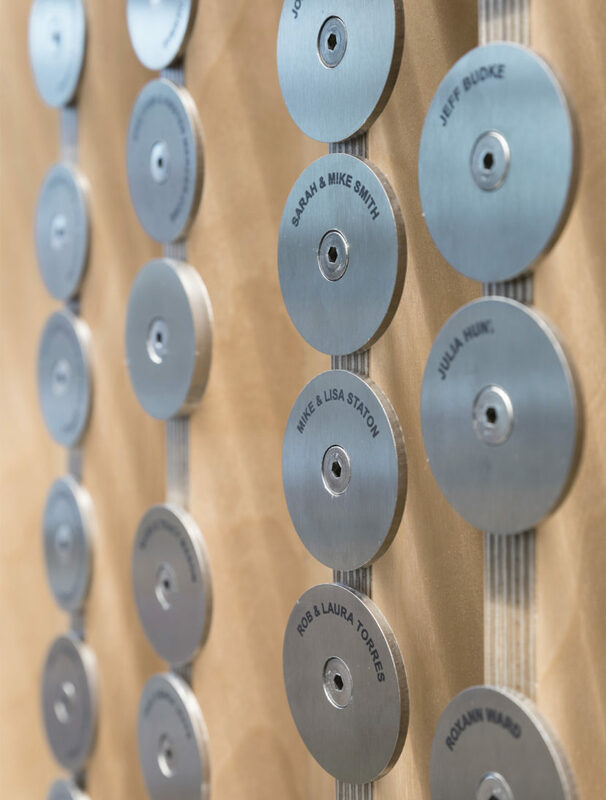 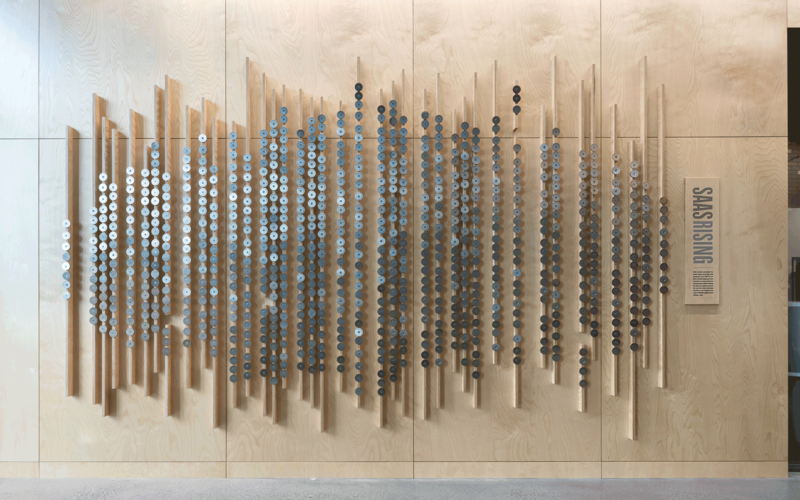 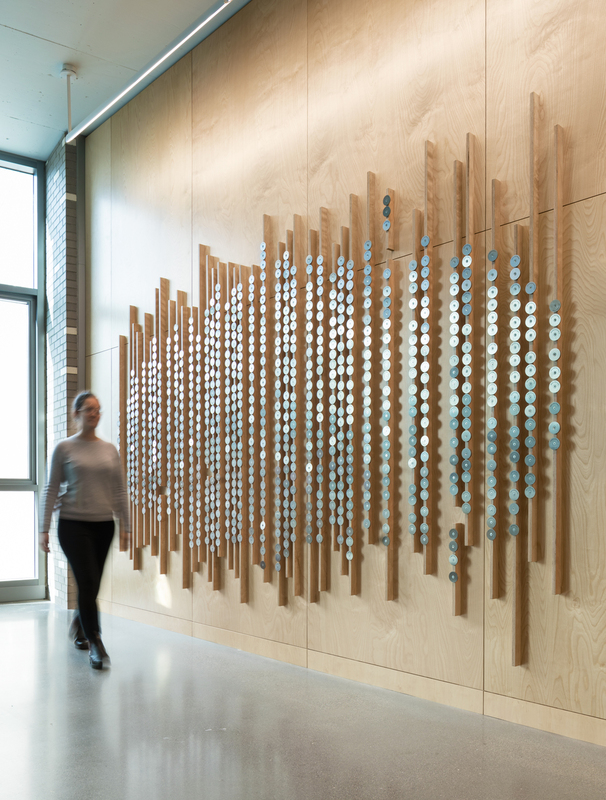 In the spirit of the school, every donor — no matter what the size of their gift — received equal recognition on a unique installation made up of hundreds of etched disks. 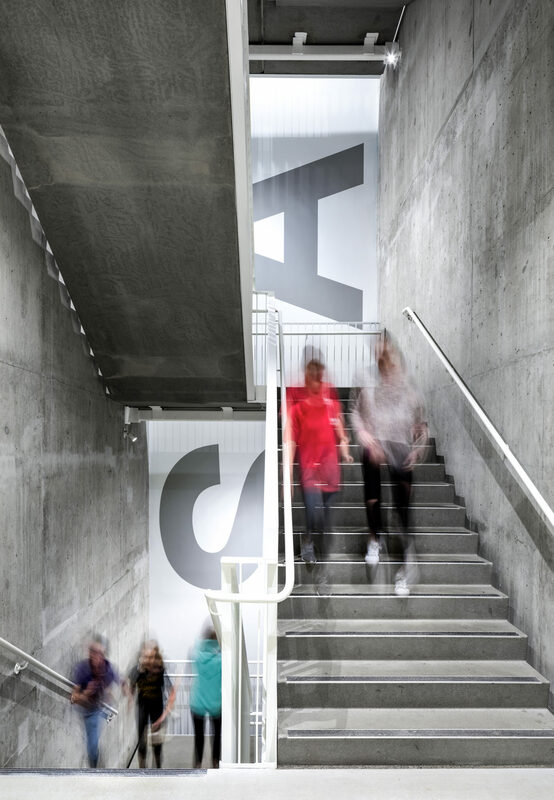 The design suggests a flowing and energetic collective of people, working collaboratively for the school. Blank disks are included throughout, to accommodate and encourage future donors to the school. 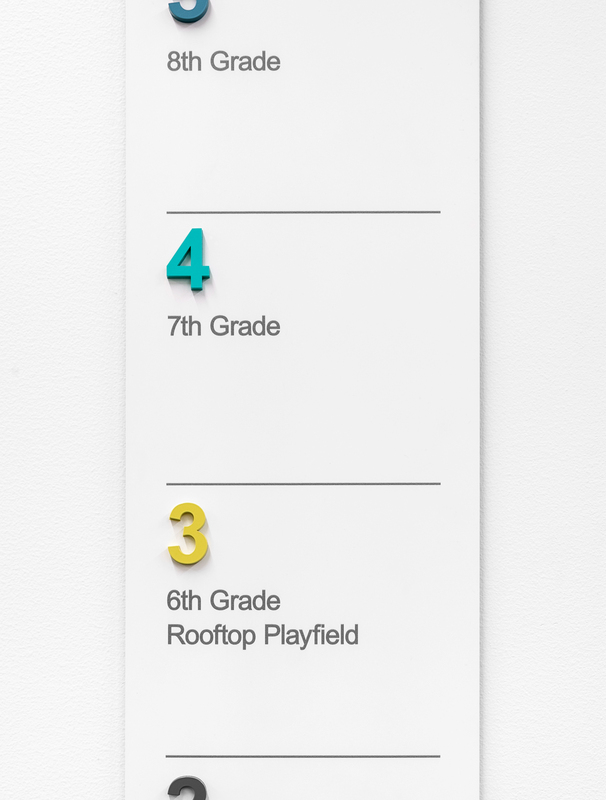 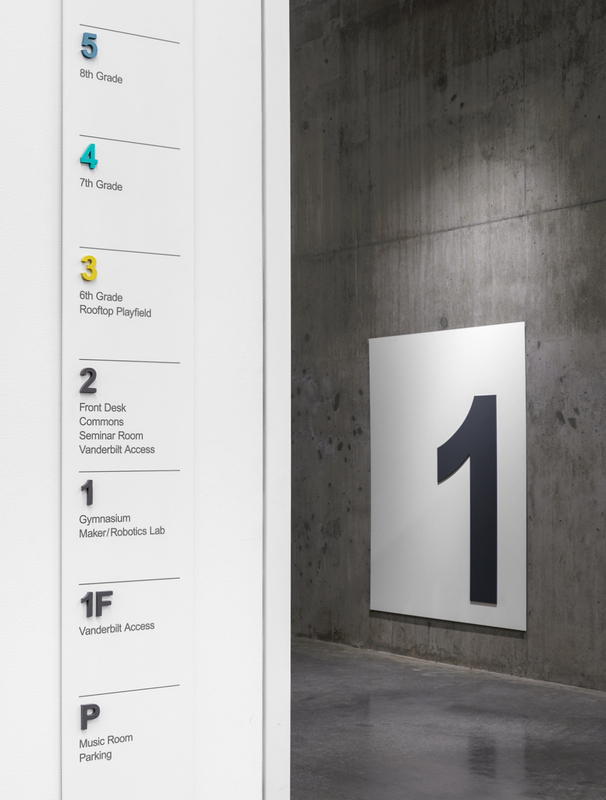 Elsewhere in the building, color-coded floors aid wayfinding, while a super-sized “SAAS” connects all floors in the central stairwell.